All food is prepared meticulously in our kitchens by our own trained kitchen staff and served with waitress service. We make a point, as far as possible, to always use fresh ingredients, which are delivered to the premises on a daily basis. We also try to avoid the use of artificial colourings, flavourings or preservatives. 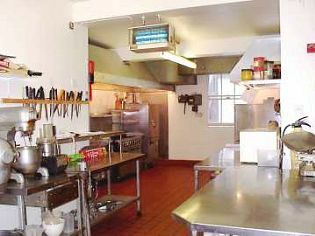 We are so proud of our kitchens that we are willing to show you around at any time outside meal times. in the downloads section here. Tea or coffee and biscuits are served in all lounges from 10.30am. Tea or coffee and biscuits are served in all lounges from 3.00pm. Tea, coffee, Horlicks, Ovaltine or hot milk and biscuits are served in all lounges between 8.00pm and 9.00pm. We welcome visitors to join our guests for tea or coffee at no extra charge, and lunch for £5.50 per guest and supper for £3.50 per guest. Room service is free for those who need it. Diabetics and special diets are catered for. 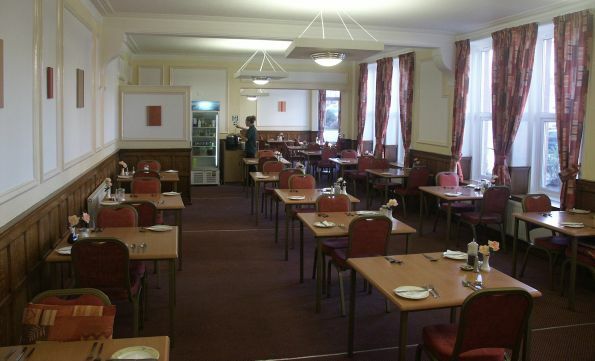 Daily menus are published for all residents, so that they are able to choose what they would like. Lunch and supper consist of a three-course meal, with starter, main and desert. Lunch is the main meal of the day, with a lighter supper. You can download an example daily menu from here.